Pleas find below the text version for your reference. CFA charterholders are a strong community of investment professionals. Based on the latest survey, portfolio management and research remain the two most popular CFA careers. As these investment professionals promote to senior positions, we see an increasing proportion of chief-level executives with the CFA title. There are also more CFOs and CIOs taking the exam and became charterholders. CFAs are getting more diversified with most professions representing 5% or less of total, and the “other” category becomes bigger this year. Source: Self-reported data from CFA charterholers, CFA Institute. The breakdown is similar across countries but there are some interesting differences. 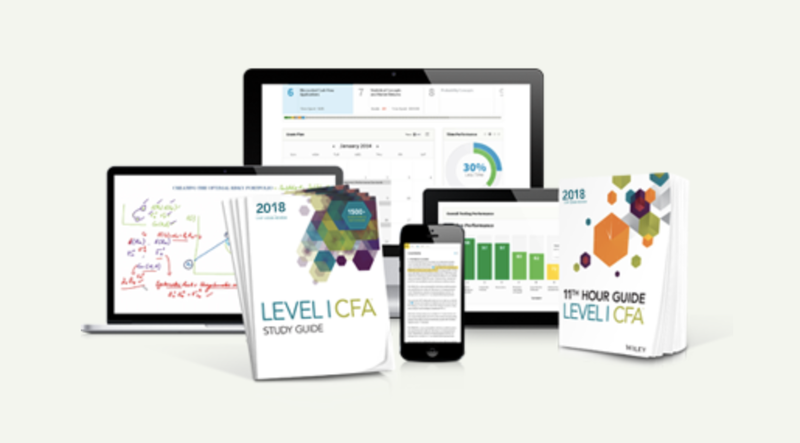 For details of CFA careers in the top 10 countries with CFAs, click on the links below. The following 3 charts show the number of CFA charterholders and/or candidates in the firm. 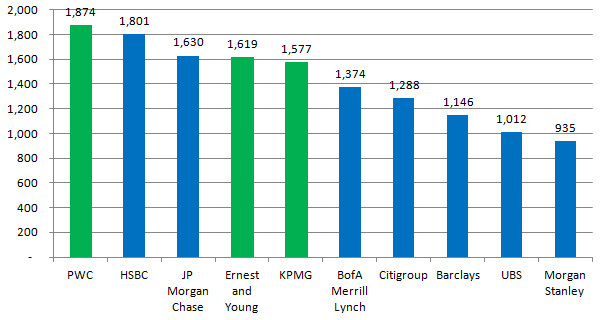 Here are the top 10 employers of CFA charterholders and candidates. They are either full-service financial institutions with sizable research capabilities, asset management and wealth management arms. 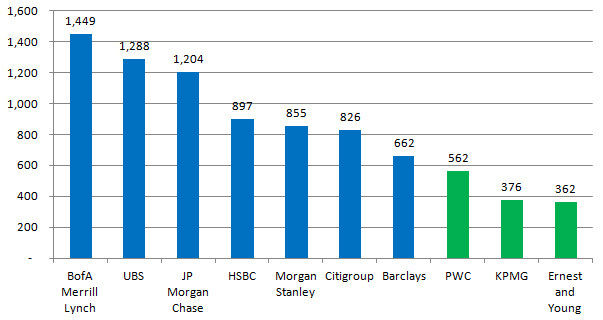 3 of the Big 4 accounting firms (marked in green below) are also on the list this year. When we split up the analysis and look at CFA charterholders and candidates separately, we notice that full-serviced financial institutions rank higher than the Big 4. CFAs are traditionally portfolio managers and research analysts working in these financial power house. Interestingly, when we look at the profession among CFA candidates, the top hiring firm is PwC. 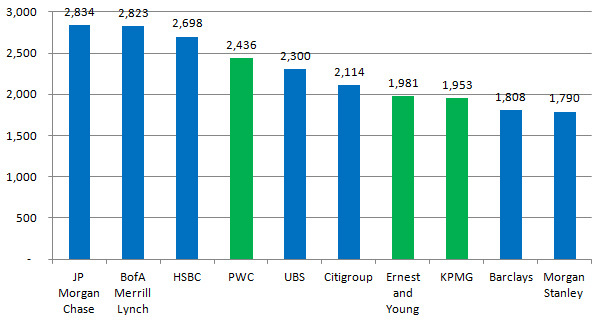 KPMG and EY also rank higher in the top 10. One possibility is the composition of CFA candidates by region. As we see here, 44% of CFA candidates come from Asia. It is also known that the Big 4 has been expanding rapidly in Asia (notably China) as their auditing and advisory businesses do well in the blooming economy. As a result, we expect that many of these CFA candidates are Big 4 employees in the Asian offices. 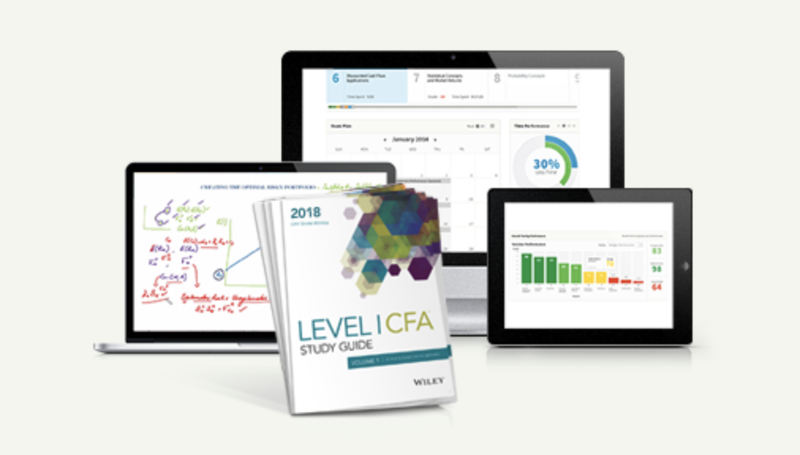 At the same time, as the CFA designation becomes better known, professionals other than portfolio managers and research analysts are taking the CFA exam. We have been seeing more consultants and senior management getting into CFA as a proof of expertise in financial and strategic management. 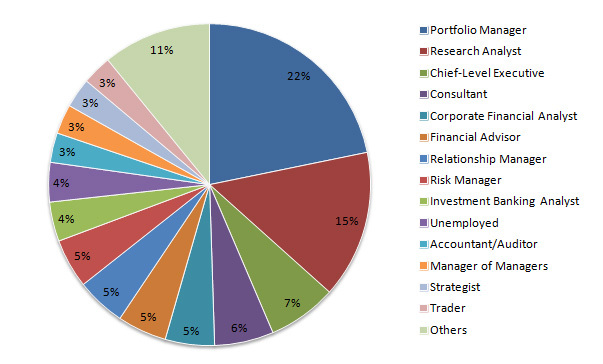 Portfolio management and equity research remain the most popular CFA jobs in the industry. However, when you look for new job opportunities, you should go beyond the traditional financial institution and explore opportunities in Big 4. Other firms that value CFA include fund of funds, hedge funds, private equity and family offices.